Two distinguished front options for all firebox sizes: Modern or Artisan, available in metallic black or brushed nickel. Choose from a selection of two burner styles: split log or glass, available in black or twilight. Choose from four firebox panels: lustrous black porcelain, or high definition fiber panels in fluted gray, ledgestone or red brick. 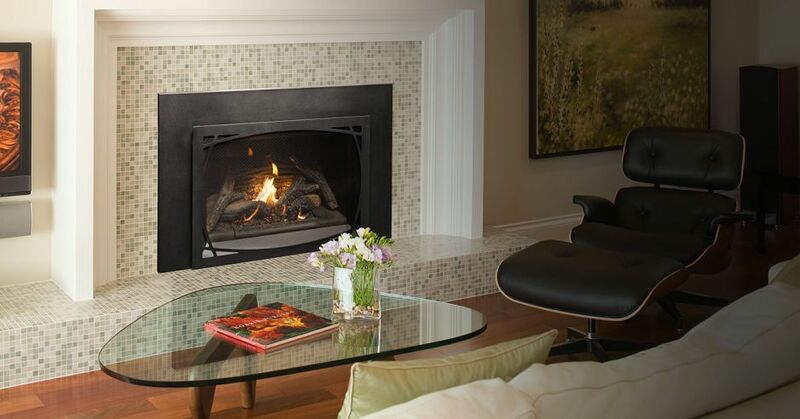 Finding the right Tofino insert for your existing fireplace is simple with multiple sizes available to suit your needs. Tofino inserts come with your choice of valve system; enjoy the simple operation of the Maxitrol system or, the full-featured SIT Proflame 2 system.